Everything we do has the potential to make a difference, no matter how small or routine the action seems. A recent CBC Marketplace report called How Not to Buy a Car illustrates this point. 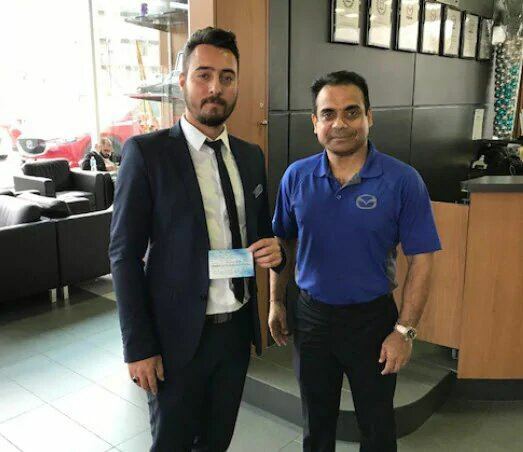 In it, Ali Erol, our Pre-Owned Sales Manager, proves that long-term relationships always win over short-term gains. The segment sends Jenny, a reporter genuinely looking for her first car, to see how dealerships explain financing options. Most dealerships automatically pushed seven-year financing terms without presenting other options. How did Mazda measure up? Ali was the only dealership team member that presented all financing options in detail. The experts on the show praised Ali for giving the best advice out of everyone shown. By pushing longer terms, dealerships can make expensive vehicles look more affordable to consumers. This can potentially push them into debt they can’t handle. This footage was also shown to John Carmichael, the CEO of the Ontario Motor Vehicle Industry Council (OMVIC). He expressed concern about how the other dealerships conducted themselves.